1. be inspired is promoted by Bents Garden & Home of Warrington Road, Glazebury, Warrington, Cheshire, WA3 5NT. 2. Applicants must be aged 18+ to join be inspired. 4. Bents Garden & Home reserve the right to cancel the club and any benefits attributed to it at any time. In respect of any unused offers, Bents Garden & Home will honour these offers in conjunction with the expiry date of that individual offer. 5. Bents Garden & Home reserve the right to substitute prizes or rewards in the event of circumstances outside its control. 6. 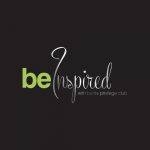 Bents Garden & Home's be inspired club is open to individuals only and is not available to members of a group or club. Neither the club nor any offers are transferable or resalable. 7. Bents Garden & Home reserve the right to vary the level/value of prizes at any time and without notification. 8. The prizes & rewards earned are not exchangeable for cash, gift vouchers, or any other excluded category of products and can only be used as explained on the voucher. 9. Members are only permitted to hold one card / programme account. 10. If no transaction occurs by a member in any 12 month period, the members card / club may expire and any offers may be cancelled. 11. Any prize vouchers or rewards vouchers issued to a cardholder are subject to the terms and conditions printed on the voucher. 12. A cardholder / member is responsible for looking after the card and Bents Garden & Home Company is not responsible for any lost or stolen cards. 13. Lost or damaged cards may be replaced at the discretion of Bents Garden & Home. Customers may be charged for this service. 14. Bents Garden & Home cards remain the property of Bents Garden & Home and the cardholder shall return the card if requested by Bents Garden & Home. 15. Bents Garden & Home is not responsible for any errors resulting from fraudulent use of a card or the inability of a cardholder to receive or redeem credits or use vouchers, unless in any such case it is caused by Bents Garden and Home negligence or fraud. 17. Rewards are only offered as a result of purchasing products within Bents Garden & Home store or online. 18. All sections of the application must be completed in full. Bents Garden & Home reserve the right not to accept any incomplete application forms. 19. Rewards may only be redeemed by the named member of Bents Garden & Home. 20. Redemption offers and redemption partners may change from time to time. 21. Particular redemption offers may have their own particular Terms & Conditions. By taking up any such offer, you are agreeing to these Terms & Conditions. 23. Bents Garden & Home shall not be held responsible for any alterations to flight schedules, destinations, routes, itineraries, facilities or venues from third parties. 24. Nothing in the Terms & Conditions shall limit or exclude Bents Garden & Home or the Bents Garden & Home liability or for any other liability the exclusion or limitation of which is not permitted by law (nothing in the Terms & Conditions affects your statutory rights). 25. Bents Garden & Home is committed to protecting your privacy. Your personal information is collected and processed only in accordance with the administration of be inspired and to contact you for the purpose as described in the application process. 26.. Bents Garden & Home can accept no liability for personal loss or injury at any of the participating venues as far as permitted by law. 27. By joining be inspired you are agreeing to being contacted by post, mobile text messages, telephone or email in relation to be inspired related communications. 28. Bents Garden & Home adheres to the Data Protection Act 1998.